Don’t forget that Fallcon is this Saturday and Sunday. There are going to be over 200 artists in attendance this time around. 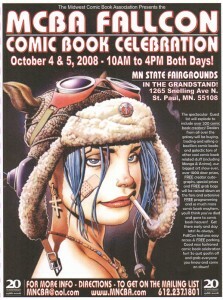 It’s FallCon’s 20th anniversary, and they’ve moved into the grandstand on the state fair grounds. Those who arrive early will have a chance to get one of these limited edition sketch cards. Other highlights include panels pretty much all day both days, a wedding on Saturday, a free HeroClicks tournament, door prizes, and much, much more! The fallcon myspace page has some additional information for those who want to know more. 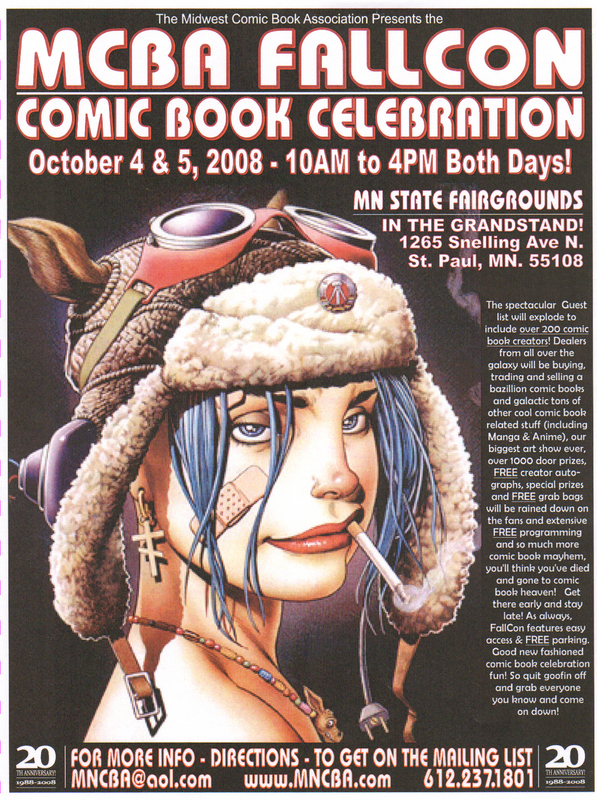 October 4 & 5, 2008 – 10AM to 5PM Both Days! Minnesota State Fairgrounds – In the Grandstand! Admission is just $11.00 per adult. Good for both days! Children 9 & under are FREE! Get $1.00 Off Your Admission With A Canned Food Shelf Donation! This entry was posted by Martin	on Thursday, October 2nd, 2008 at 11:47 am and is filed under cons. You can follow any responses to this entry through the RSS 2.0 feed. You can leave a response, or trackback from your own site.